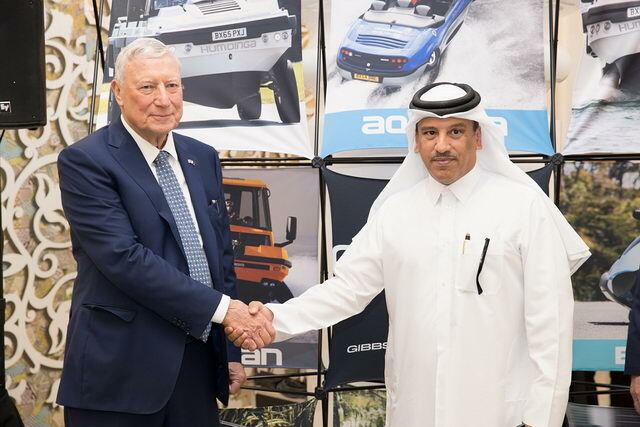 Gibbs Amphibians (Gibbs), is establishing a strategic partnership with the Madaeen Al Doha Group for the supply and assembly of the Gibbs Humdinga. The subsidiary, called Gibbs Amphitech, will be based in Qatar and will supply Gibbs products in the region and other key markets including Australia, Canada and the UK. 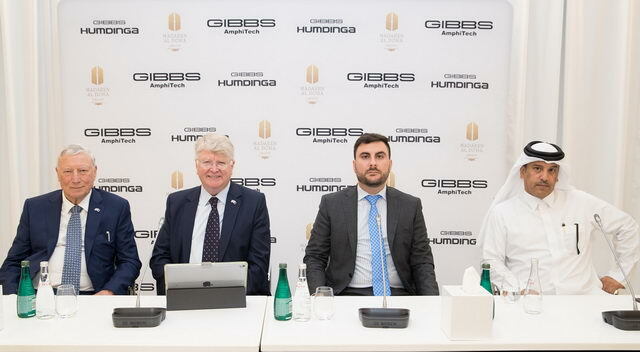 Gibbs founder Alan Gibbs is enthusiastic about the new opportunities in the region and the performance of the Humdinga in the market. Gibbs has locations in the U.K. (Nuneaton) and New Zealand, utilising engineers and expertise from both countries to continue to develop High Speed Amphibian (HSA) technology and the vehicles designed around it. Over the last 20 years Gibbs has invested hundreds of millions of pounds, and more than three million man hours, in the maturation of the technology. Which has resulted in over 400 patents and patents pending worldwide, making Gibbs the global leader in High Speed Amphibious technology. The Humdinga is one of the more rugged vehicles created by Gibbs, capable both off-road and on-water. It seats up to 9 passengers, with the signature Gibbs central driving position and can carry up to a tonne in payload. It reaches speeds in excess of 40 mph on water and over 80mph on land, with 4wd and twin Gibbs proprietary water jets. The Humdinga is a flexible platform, capable of applications from logistics to search and rescue, from police patrols to private leisure. It has been manufactured under license in South East Asia but has never been available to the public, or to such a wide region before. “This strategic partnership for the supply and assembly of the Gibbs Humdinga is an achievement for both parties. With Qatar looking for more ways to achieve its 2030 national vision, and Gibbs looking to supply the increasing global demand for their products, there is a lot of potential.” Ajay Sharma, Her Majesty’s Ambassador to the State of Qatar, said.